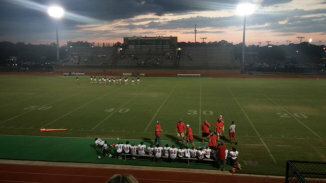 Saraland offers several activities throughout the year in the area of youth sports. For many youth in the area, these sports teams are what define each season. 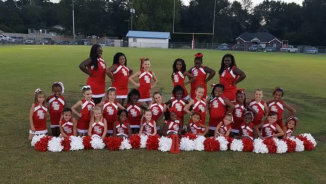 Whether your child is interested in baseball, softball, football, or cheerleading – Saraland offers a fun, motivating environment for children and youth of all ages. There is even some fun thrown in there for the young at heart who wish to participate in activities such as softball. If you cannot play but would like to participate in other ways, such as coaching, we are always looking for new faces to welcome onto the teams. Baseball is offered in the Spring/Summer term for children and youth 3-19 years of age. Softball is offered in the Fall and Spring terms for girls ages 4 & up. The Saraland Spartan youth football teams accommodate youth ages 4-13 and begin in late August. Cheerleading is also available for girls ages 4-13. 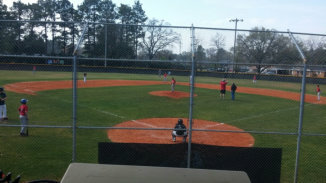 The Saraland Youth Baseball Organization is a baseball park designed for youth athletes of all ages. Saraland’s Youth Baseball games are played at Amelia Park and consist of the following leagues: T-Ball ages 4-6, Coach Pitch ages 7-8, Minors ages 9-10, and Majors ages 11-12. Saraland also has a Pre T-Ball league for 3 year olds. The Pre T-Ball league has one practice and one game a week. Our older youth play their games at Skidmore Park. A league exists for Youth Majors, ages 13-14, as well as for Youth Seniors, ages 15-19. The Youth Baseball League offers both Spring and Fall baseball programs. Saraland Youth baseball plays in the Cal Ripken League. For more information on Saraland Youth Baseball, click on the link: Saraland Youth Baseball Or Jimmy Kiper at 251-680-1581. Saraland Youth Football is a proud member of the Mobile Youth Football Conference. The Saraland Spartans youth league offers teams for Peanuts through Midgets. This year, there are 240 kids, ages 4-13,that are involved and spread across 8 different teams. There are also about 50 cheerleaders, ages 4-13, on 4 teams. All teams are separated by age and they all have weight limits. If a child is over the weight limit, he can play up in a higher age group but players are not allowed to play down in a lower group. The only exception is for 13 year olds who weigh less than 115 pounds, who are allowed to play with the 12 year olds. President Ray Janes (phone 251-554-1289). The Saraland Girl’s Softball League plays at Oscar Driver (Neighborhood) Park and allows participation for girls ages 4 and up. The girls softball league offers the following age groups: 6 & under, 8 & under coach pitch, 10 & under fast pitch, 12 & under fast pitch, and 13 & up fast pitch. Saraland Girl’s Softball has Spring and Fall seasons. The spring season begins with registration every Saturday in February, with practices starting at the beginning of March and ending in May. The Fall season begins with registration the first 3 Saturdays in August and runs from the beginning of September until mid-November. Girls 8 and under play Tuesday nights in the Fall with 10 & under, 12 & under, and 13 & up fast pitch having their games on Thursdays. For additional information on registering, scheduling, or for any other questions, call League President Bobby Miller 251-401-3467.